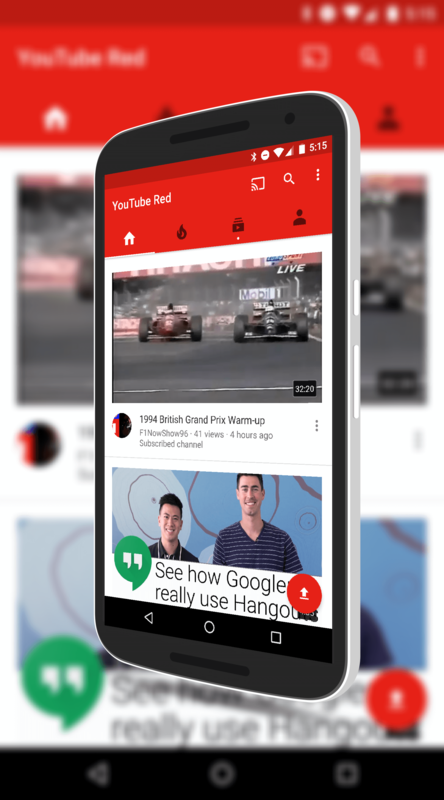 If you have been thinking about trying out YouTube Red, the ad-free version of YouTube, now is a good time to give it a go. Right now you can sign up for three months for just .99 Cents, giving you full access to the service, and as a bonus, to Google Play Music Unlimited as well. For those who may not remember, Red is the ad-free version of YouTube which gives you an ad-free experience but also allows you to download videos for offline viewing later on your Android devices. It also gives you access to original YouTube content. been bundling these two services together for some time now and they really do go hand-in-hand. Quite often in Google Play Music I will see music videos from artists which are being served up by YouTube Red. Also keep in mind that this gives you full access to Red on your PC, Mac or on your Android device too so you can enjoy the ad-free watching on any of them. Do note however that if you want to download a video for offline viewing later, that can only be done on your phone or tablet currently. If you want to try it out, just go to the YouTube Red site and sign up. As you would guess, this promotion is only for new users so if you are already a subscriber, sorry, it’s not for you.